Keelog is a company founded in 2005 around the idea of a hardware keylogger - a tiny device capable of capturing keyboard traffic without interfering with it. It was anticipated, that such device would be useful for monitoring children and employees, and also useful for investigators and in law enforcement. The first device we created was called Keelogger Classic PS/2 and was built around a very simple 8-bit PIC microcontroller. Despite it was quite successful in sales, it had some conceptual flaws, such as the dependency on a PC-side data retrieval application. In 2006 we followed with a more advanced design based on a 32-bit ARM microcontroller, that immediately became a best-seller. This device has changed its name quite a few times over the years, and is currently known as the KeyGrabber USB. The concept behind the KeyGrabber USB is to log keystroke data in a stealthy way, and to emulate a USB flash drive when the user desires to retrieve the logged data. 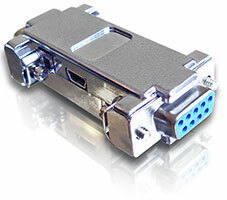 This concept has become the backbone of all future keyloggers, and has been copied by competition as well. The success of the KeyGrabber USB inspired us to design a similar product for PS/2 keyboards, which is now known as the KeyGrabber PS/2. Despite the PS/2 bus does not support USB flash drives directly, our KeyGrabber PS/2 came around this problem by using a special adapter to operate both as a keylogger, and as a thumb drive. 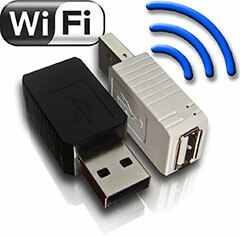 In 2009 we released a special version of the KeyGrabber with WLAN capabilities, naming it the KeyGrabber Wi-Fi Premium. This top-of-the-line product features multiple ways of remote access over Wi-Fi, such as TCP connectivity and Email reporting through SMTP. 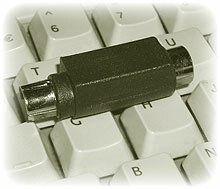 A miniaturized version of the KeyGrabber followed, which was named KeyGrabber Nano. The Nano also came in the baseline edition, and in the Wi-Fi flavour. The KeyGrabber series was soon extended with the multiple channel KeyGrabber Multilogger, and the TimeKeeper series with built-in time-stamping and a battery. All these devices have made KeyGrabbers the largest and most recognizable family of keyloggers in the world. With over a decade of history, KeyGrabbers have been sold in over 100,000 units to all 6 populated continents. 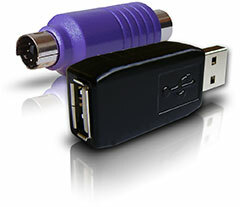 Another innovative line of products that emerged in 2011 is the VideoGhost. 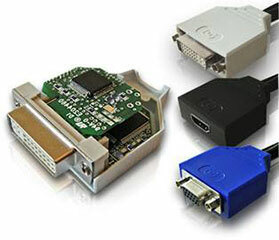 The VideoGhost is a compact frame grabber, capable of capturing screenshots by tapping directly on a DVI, HDMI, or VGA video bus. 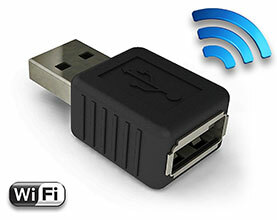 This concept has been developed into the VideoGhost Pro and Max, which are capable or replicating the video signal and sending it over USB to a host application. This in turn has proven VideoGhosts as valuable components in SCADA systems, which remain one of their main markets until today. 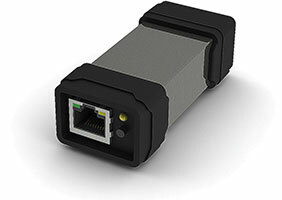 At Keelog we have also developed a very successful line of RS-232 serial loggers, that have been started in 2012 with the SerialGhost DB-9 and DB-25. The SerialGhost inherited the very successful architecture based on a 32-bit ARM, using USB flash drive mode to present logged data. Over the years, SerialGhosts have evolved into a family of its own, including Wi-Fi-enabled versions, time-stamping versions, and bare-bone module versions. In 2016 we decided to make a major redesign of our logging devices, resulting in a completely fresh approach. The AirDrive family was born, with the AirDrive Keylogger and the AirDrive Serial Logger entering sales in mid-2017. The AirDrive architecture is based on the revolutionary ESP8266 Wi-Fi chip, supported with auxiliary peripherals responsible for signal acquisition. AirDrives are unique devices, especially when it comes to ease-of-use. They act as Wi-Fi hot-spots, meaning no pre-configuration is necessary to access them wirelessly from devices such a smartphones, tablets, laptops, and desktops. Our experience with industrial SCADA systems has cumulated in the form of the 2018 MorphStick series. MorphStick is a collection of data acquisition and conversion devices, with Ethernet and USB as a primary communication medium. MorphSticks cover a very wide range of industrial applications related to many types of serial data acquisition, conversion, and transmission. They are highly customizable, and intended as building-blocks of bigger communication systems. Possiamo rispondere alla corrispondenza solo in lingua inglese. Molte delle domande più frequenti con le risposte corrispondenti sono comprese nella sezione delle domande più frequenti (F.A.Q.). 2:00 a.m. - 10:00 a.m.